Holy conversation happened in a holy place in West Nashville at our fall forum, Stewarding Influence, featuring Andy Crouch. 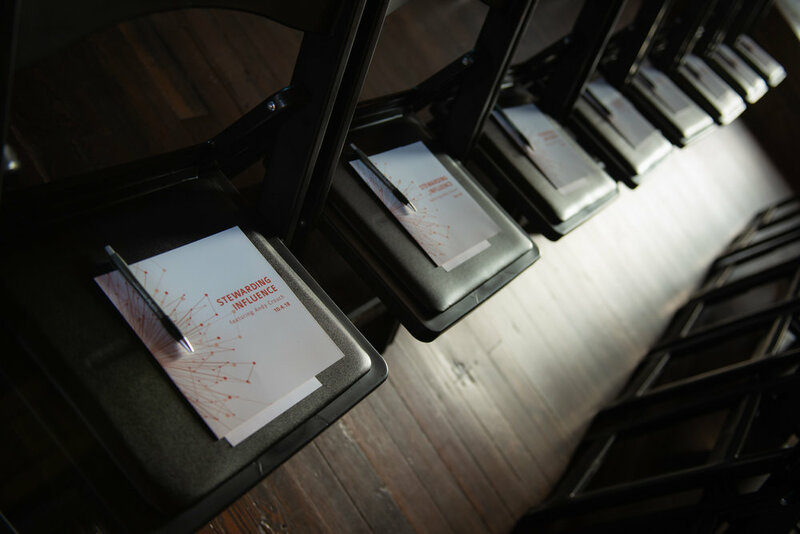 Over 300 people gathered in Clementine Hall, a newly renovated event space that highlights the tensions of new versus old Nashville, and engaged in an evening that focused on using our spheres of influence to promote flourishing for all people across Nashville and beyond. Andy Crouch stood in front of the beautiful antique organ and asked audience members to consider their own history. Had they grown up in a place of control, safety, suffering, or flourishing? Further, had they considered what it meant to move from whatever place they are in toward flourishing? 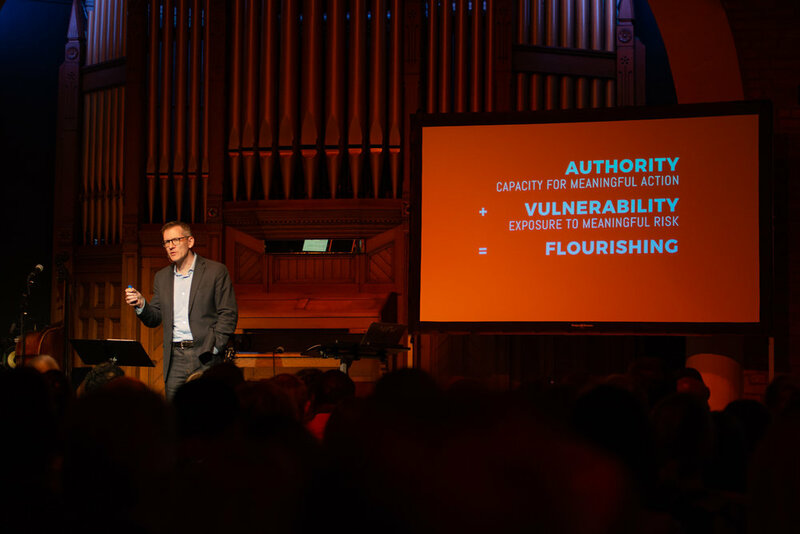 A key, said Crouch, is how vulnerability and authority create opportunities for flourishing. Crouch then challenged the audience to examine their own influence and ask - right now, am I in a place of idolatry, withdrawal, suffering, or flourishing? Through live-texting the audience saw themselves as a part of a whole and then as a group learned the path to flourishing, which in the end involves great sacrifice. At the conclusion of the evening, NIFW launched this year’s Stewarding Influence Grant Competition. Organizations and individuals are encouraged to submit proposals aligned with the concepts of using authority and vulnerability that create flourishing for others for a $5,000 grant. 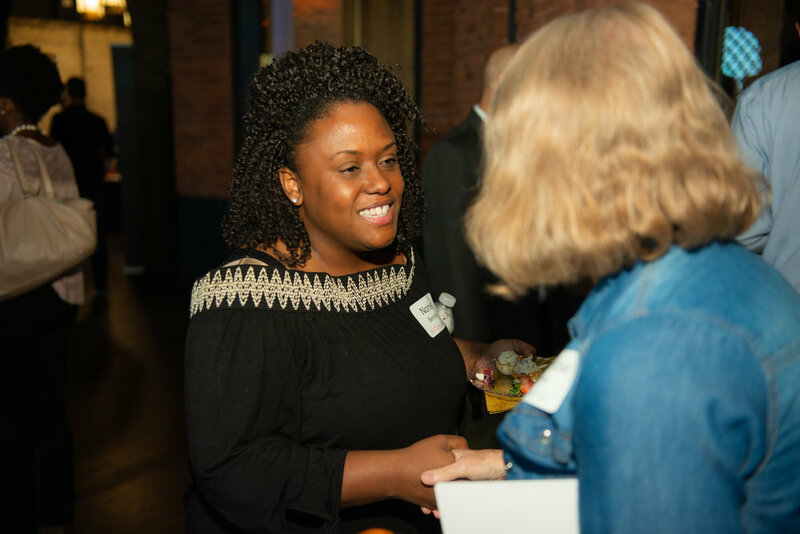 The grant proposal process is meant to extend the conversation past the evening and seep into the day-to-day for the flourishing of Nashville and beyond. Applicants are asked to fill out an application in its entirety and submit a two-minute video no later than November 15, 2018 at 11:59 p.m. CST. Click here for an application. Questions about the grant process can be directed to info@nifw.org. Complete with networking, food, and fellowship, the evening also featured live music from gospel, jazz, funk fusion band, Cotten, and original compositions from Songs for the Church (“Do Not Fear” and “Strong and Weak” are available here). 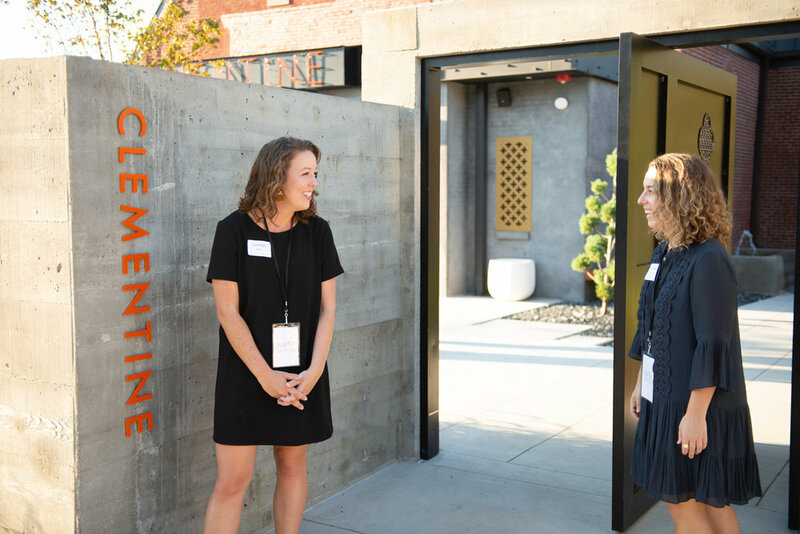 Missy Wallace, Executive Director of NIFW, gave a brief history of the venue, Clementine, Nashville, and the theology of work. Perfectly tying the beauty of the evening together, Tammy Bullock closed the program with a powerful rendition of, “Establish the Work of our Hands” (you can listen to the original recording of it here). The night would not have been possible without the support and collaboration from our sponsors: Jarrard Phillips Cate Hancock, Christ Presbyterian Church, St. George’s Episcopal Church, Parks Church, Harpeth Hills Church of Christ, St. Bartholomew’s Episcopal Church, and Marketplace Chaplains.